Choosing and Buying Web Hosting Is Like an Art! Why You Need Good Web Hosting? 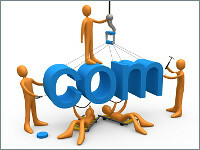 Purchasing a web hosting package is one of the most important stages of your newly born web project. On this stage you cannot foresee many issues, but you can already plan some important points. If you buy good web hosting, this may resolve a great many of your problems in future. Follow our tips, and they will help you find the best offer available in the market! The market of web hosting is incredibly huge, so you may get lost among different types of web hosting. Normally, if you’re a new company, you’ll need a Shared Hosting package with basic features – this will give a certain amount of disk space, decent bandwidth and other key features. Shared packages usually have a very reasonable price, but this type of Web hosting is good only for fresh start-up projects. If you already have a project that has to process many clients coming to your site, you’ll have to choose VPS Hosting or Dedicated Hosting. These packages have more extended features, and give you more control over your server. Note that dedicated servers cost more than Shared or VPS packages, but also resolve a lot of your problems. Apart from package type, you’ll have to choose many other features before you buy web hosting. First of all, you’ll have to decide on the operating system – Windows or Linux. This will seriously influence the life of your web project, so if you don’t know what to choose, check it with experts. 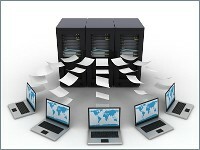 Another important property of hosting is the database type. Here the most popular options are MySQL and MSSQL for Linux and Windows, respectively. After you decide, which hosting type will meet the requirements of your project best, you’ll have to find a bunch of companies providing the chosen type of hosting. It’s common that a web host company works with different types of hosting, but this rule may have exclusions, so browse the web. We suggest you to make a list of 30 or 40 companies that fell into your eye, and work with it on. When you have the list of relevant web hosting providers, you’ll have to check their reliability. For this use forums and discussions on the web, or check some thematic web sites that are specialized in web hosting reviews. This issue will take quite a while, but as a result you’ll get the list of trustworthy companies with good quality of services and decent customers support. With the reliability data, you can make up a kind of a chart that will already outline some preferable companies. Then, you can sort the trustworthy variants by price and specifications of suggested web hosting packages. Finally, create a Top-5 or a Top-10 Chart! When you get the final Top Chart, can try your luck and look for different discounts or coupons. This will be a hard job, though you have really good chance to get a nice discount. You should also notice that, for example, in Christmas time most web host companies give out discounts, so you’ll certainly find something for several companies in your final list. Good luck, and may the your project prosper! WordPress, Drupal and Joomla – Need Advice? Windows vs Linux – Who Wins the Battle? Why Do You Need IP Address? How To Choose & Buy Website Hosting? Copyright © 2019 BuyWebHosting.ORG. All Rights Reserved.